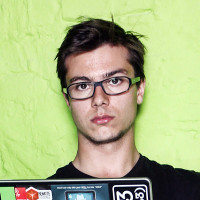 Hugo is a volunteer with FSFE. He works as an attorney in Paris. “I have been working towards computing freedoms within FSFE since 2009. First as an intern when I worked with Karsten Gerloff on policy issues at the European and United Nations level. By joining FSFE's legal task force, I contribute to bringing expertise to the free software community. I was born in Lille in 1990 and I now live in Paris. Attorney at law at the Paris Bar, advising on IT law, E-commerce, free software licensing and data protection. Former Vice-President of French Data Network, France's oldest Internet access provider. Cofounder of Terms of Service; Didn't Read with other FSFE activists.